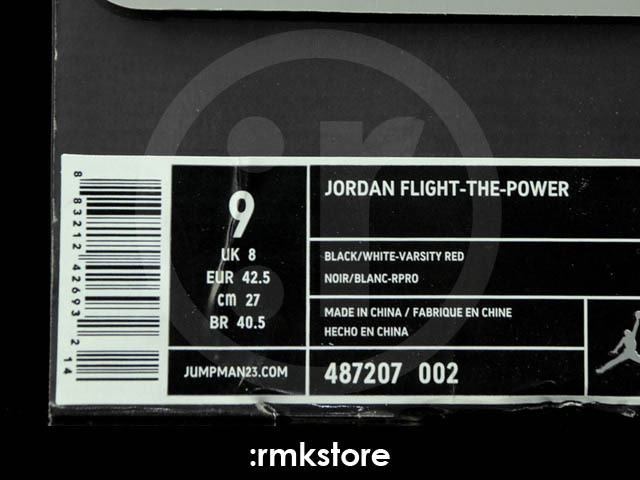 The Jordan Flight the Power is a new performance model geared toward players with an explosive game. 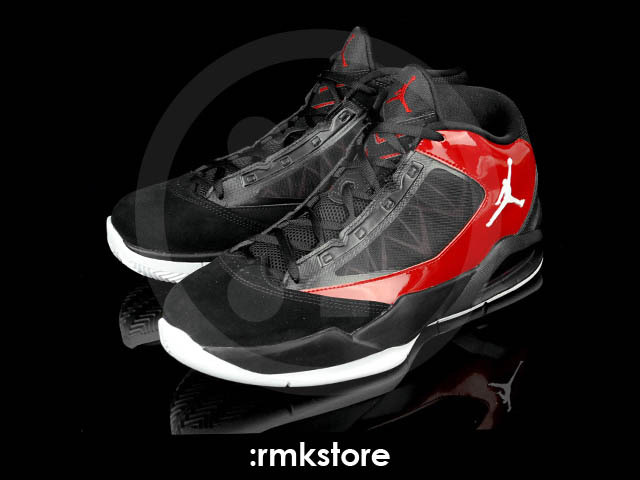 The Jordan Flight the Power is a new performance model geared toward players with an explosive game. Durable full-grain leather and synthetic materials share the upper with highly breathable mesh panels. A Dual-Pull lacing system helps keep the foot locked in place. Impact protection is aided by a Max Air unit in the heel. Below, a recessed herringbone pattern on the forefoot provides traction during pivots and drop steps. 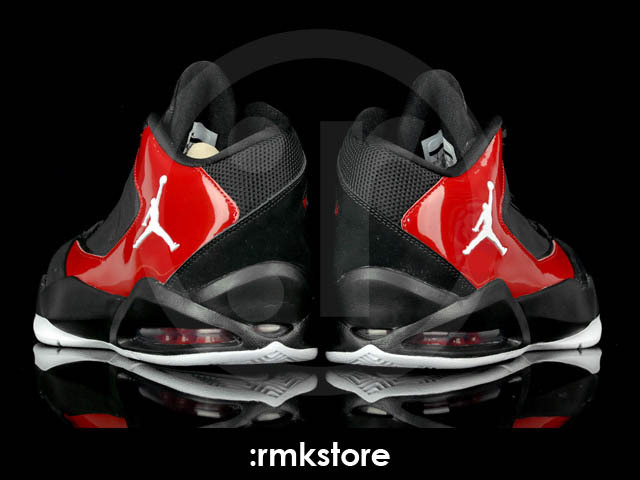 This particular Flight the Power is draped in the familiar "Chicago" color scheme, including a black a black-based upper with a nubuck toe overlay and red patent leather extending from the side panel to the heel. 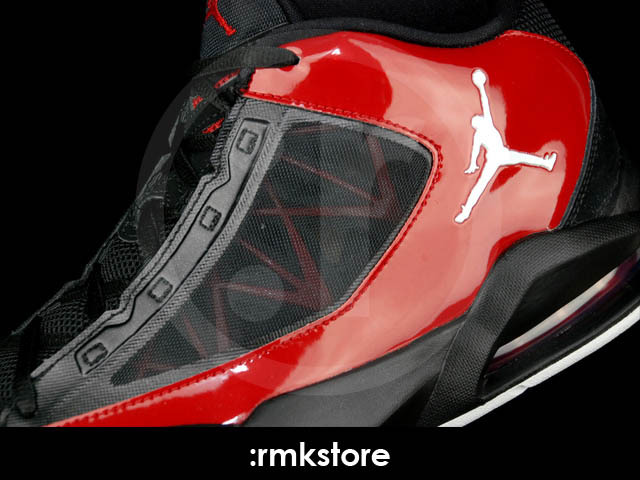 Jumpman branding on the tongue is also done in red, while white handles a larger version on the lateral ankle. 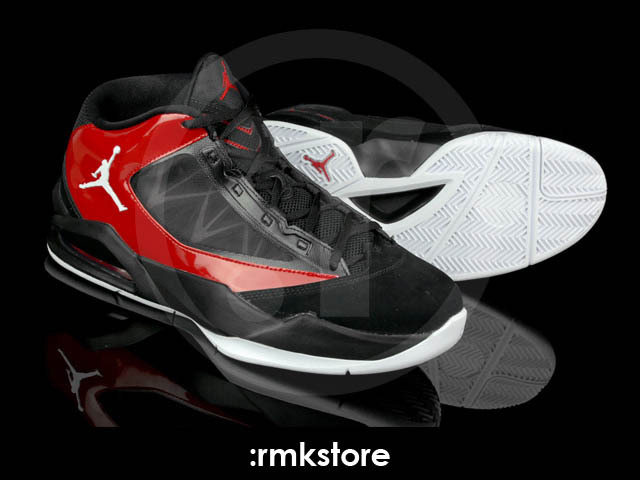 A black midsole houses a red Max Air unit and sits atop a white outsole to finish off the look. 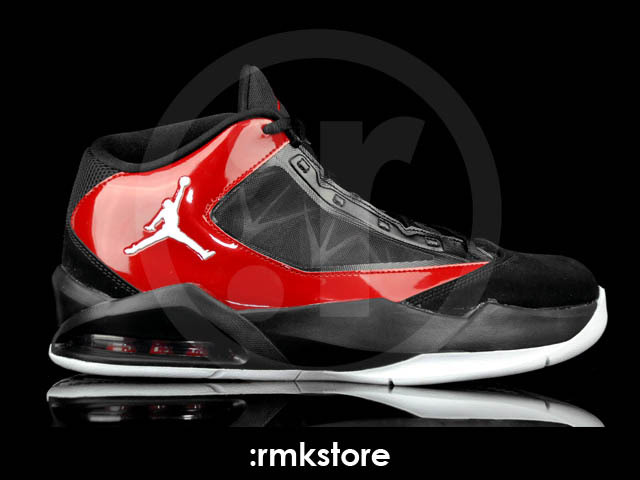 Look for the Jordan Flight the Power in Black/White-Varsity Red to officially drop at Jordan spots in February. Retail is $115.